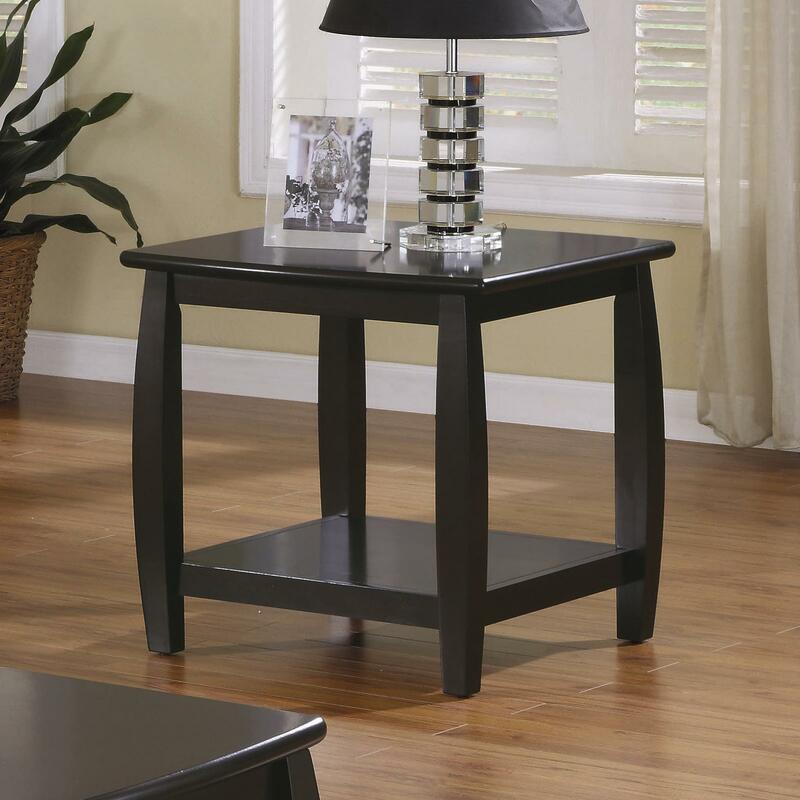 Accent your upholstered chair with the relaxed contemporary styling of this end table. The bowed legs and rich cappuccino finish provide chic designs, while the bottom shelf offers space for books, TV remote controls, or even decorative items. Invite personal flair into your home by displaying a uniquely designed reading lamp and a favorite family picture on the surface. Arrange this chair side table with the matching sofa table and cocktail table for a cohesive living room look. 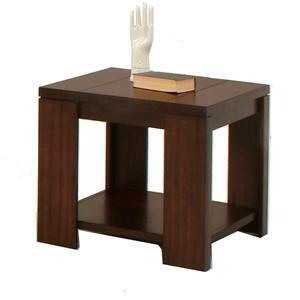 The Marina End Table with Bottom Shelf by Coaster at Northeast Factory Direct in the Cleveland, Eastlake, Westlake, Mentor, Medina, Macedonia, Ohio area. Product availability may vary. Contact us for the most current availability on this product. Case Detail Smooth, rounded table top edeges and bowed legs. Description: Top Finished wood tops. Accentuate your living room decor with the simple contemporary styling the Marina collection. Unique bowed legs compliment the rich cappuccino finish, while bottom shelves provide functional space for storing books and TV remotes or showcasing favorite decorative items. This occasional table group includes a cocktail table, sofa table, end table, and matching TV stand that will tie your living room or family room together. The Marina collection is a great option if you are looking for Contemporary furniture in the Cleveland, Eastlake, Westlake, Mentor, Medina, Macedonia, Ohio area. 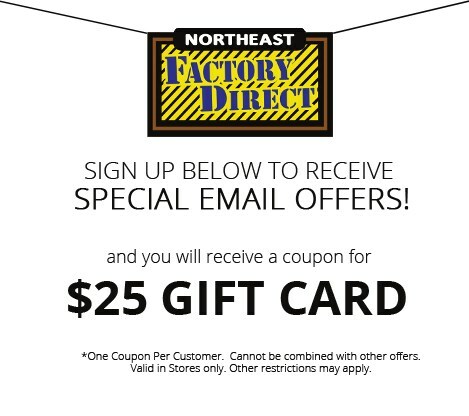 Browse other items in the Marina collection from Northeast Factory Direct in the Cleveland, Eastlake, Westlake, Mentor, Medina, Macedonia, Ohio area.